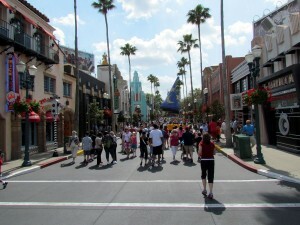 Disney’s Hollywood Studios. Angela Dahlgren, photographer. The plan is designed to start at 11:00 AM but we were through the turnstiles and had the plan pulled up on the phone by 10:00 AM. The extra hour probably helped in the long run since the new Frozen Summer Fun – Live bumped up the crowd level to a solid 9. It looked like it was already a 7 when we arrived. The next step was Beauty and the Beast – Live on Stage, but just before heading over there, I remembered to run the optimizer. It bumped the show down to the early afternoon and sent us to Studio Backlot Tour. This turned out to be a great move; the attraction is much closer than the show and still takes up a sizable chunk of the remaining morning. We ended up at the very front for the next show, waiting a little longer than usual as a result. 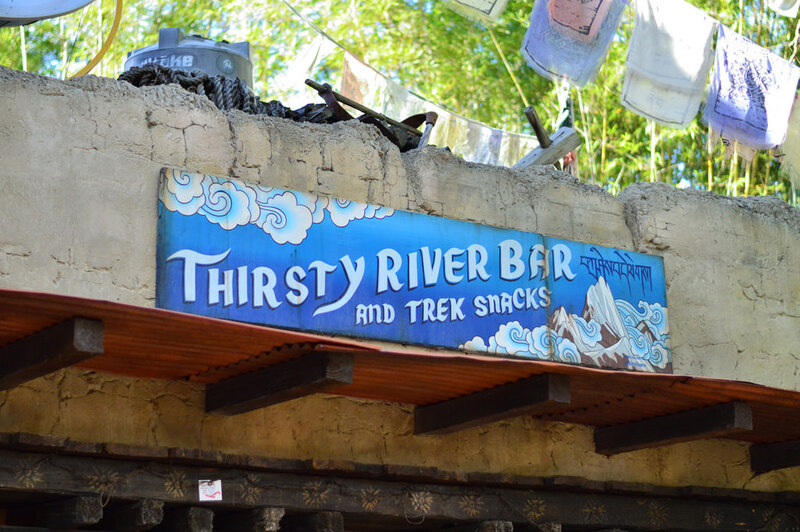 After surviving Catastrophe Canyon, the plan suggested a 30-minute lunch. That seemed a little short but we ended up at Backlot Express which was not too crowded and the meal only took about 45 minutes. 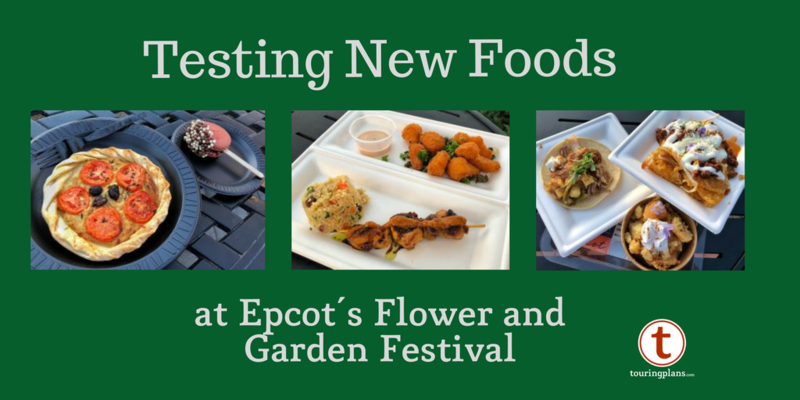 While we were finishing up I reoptimized, again sending Beauty and the Beast down the list. It was another good move though since it bubbled up Lights, Motors, Action! Extreme Stunt Show, which was starting in 20 minutes. Next up was Star Tours, which we walked on to. I optimized the touring plan once we left the Wi-Fi dead zone near Tatooine Traders and finally Beauty and the Beast was listed next. At this point, we didn’t feel like crossing the whole park to get there and decided one show was enough for the day. I removed it from the plan (as well as Voyage of the Little Mermaid) and headed onto the next step, Muppet*Vision 3D. After the rousing “Salute to All the Nations of the World, But Mostly America,” I didn’t bother optimizing since the last three attractions were pretty close to each other and it was only 4:00 PM. So, we finished up the day doing Tower of Terror, The Great Movie Ride, and Rock ’n’ Roller Coaster in that order. This was my first time using the optimizer extensively, and I was surprised at how much it reduced backtracking. The stock touring plan moves your around a lot at the first part of the day, but the only extra walking we did was due to choosing lunch without looking further ahead in the plan. The only downside was how early we finished. Fantasmic!, the last thing we wanted to see on the plan was not until 9:00 PM. Even with the late start, we have a full 4 hours before the show. So much for rope drop. *I am contractually obligated to mention Jennifer won at Toy Story Midway Mania! So there. A native of the Mouse State, Scott has had an annual pass longer than a driver's license. He is an avid photographer in and outside of the park. Check out his other work on Flickr and his portfolio at angrymob.us. Interesting report. But, you’re not really testing out the Touring Plan, since you are “re-optimizing” periodically throughout the day (you’re actually testing out the optimization feature!). Also I’m unclear about the last part – you say that starting at 4pm, you ride ToT, GMR, and RnRC, then later you say that you had 5 full hours before the 9pm Fantasmic. Were all three of those rides walk-ons at 4pm? That seems doubtful. Even so, it would have taken you at least an hour just to ride them. Good catch. That was supposed to be 4 hours. Tower of Terror was about a 20 minute wait, The Great Movie Ride was a walk on, and Rock ’n’ Roller Coaster was about 30 minutes. So it was probably closer to an 1:20 total time for those three attractions including the rides themselves and a little bit of walking. If you do have a phone, you’d be crazy to not re-optimize. The plans are great as they are, but using your actual time marks and modifying walking speed, etc. are huge timesavers. It also allowed us to account for the attractions we weren’t interesting in without have to guess how that would affect the rest of the day. This is a very interesting report! We (two adults) are visiting during the height of Spring Break (DH is a teacher, so we do what we can!) and I was getting a little freaked out about the projected crowd levels. We are subscribers so I will definitely be checking this out. Wondering about how scheduled FPP’s fit into the optimizing plan? When you make your Touring Plan, you can start from scratch or copy an existing plan. The software will suggest were you should use FastPass+. After you have your FPP reservation times, you enter them into the software. The optimizer will create a Touring Plan so you will arrive at your FPP attractions at the right time. I think if you “optimize” in the park, the software may rearrange the plan based on current conditions (which you mention in your report.) If you have FPP’s booked, you can be messed up as they may not remain stable. This was my experience last Spring anyway. I have the app. I am unclear how to optimize. Please advise. Thank you!!!! You can optimize as many times and as often as you like. It takes into account current show times and (one of the @touringplans.com folks can correct me here) I believe reported wait times from other lines users. If you are using a smartphone, you should at least do it when you start in the morning since the stats it uses could have been modified since you initially created it. Love the tiny “contractual” footnote! 🙂 Way to go Jennifer! !